Looking get to a car key replacement in Dunwoody, GA? QuickPro Locksmith offers expert auto key replacement, repair and duplication, Dunwoody, GA. Whether you’ve lost your keychain, damaged your locks or need a last-minute key duplication, the car key replacement services at QuickPro Locksmith will get you back behind the wheel fast. Our experienced Dunwoody locksmiths know how important it is for you and your family to stay on track. That’s why we’ll work hard to provide high quality, effective and affordable services, so you can get back to your normal schedule as soon as possible. If you need help with your car keys, contact the QuickPro Locksmith office. We will send a dependable locksmith in Dunwoody, Georgia or a nearby metro Atlanta area neighborhood to your location right away. Losing your car keys, or discovering that your locks have been damaged in an attempted break in can be frustrating. Thankfully, the solution doesn’t have to be a hassle. Let our team of expert mobile locksmiths come to your location with the tools and equipment needed to get you a new set of keys or locks. We perform our services quickly and effectively so you can get back to your normal routine fast. Whether you need a manual key duplication, a new transponder key, key fob programming, or a car lock replacement, we have what it takes to get the job done right. Our experienced professionals provide many automotive related services including 24/7 emergency lockout assistance, ignition repair and high security lock installations. Call today to find out what we can do for you. Avoid the hassle, headache and unnecessary expense of taking your car into the dealership or mechanic. Let the QuickPro locksmiths come to you and get you back on the road safely and quickly, without the overpriced rates or long wait times. Unfortunately, some of the worst car lock issues happen at inconvenient times. Some people lose their keys on a Friday night out with friends. Other times, family’s return to their vehicle after a weekend outing and discover that their locks have been ruined by an attempted carjacking. Whatever the case may be, the QuickPro Locksmith team is sure to have an affordable and effective solution. Best of all, there’s no need to wait until Monday afternoon to get the help you need. 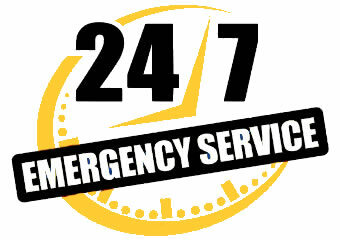 We provide our Dunwoody and Atlanta area services 24 hours a day, 7 days a week. That means our experts are always here when you need us most, no matter what time it is. Is it time for your next key duplication, car key replacement or transponder key programming? Get the help you need from the highly trained and experienced Dunwoody locksmiths at QuickPro. Contact our office for more information about our wide range of residential, commercial and automotive services or schedule your next appointment with a mobile locksmith in Dunwoody, Georgia or surrounding metro Atlanta city.